Alberta: Poised on the Fiscal Cliff. Again! The Alberta Progressive Conservatives are in deep trouble when the only PC making any sense is Ron Liepert (yes, that Ron Liepert, Alberta’s former finance minister and one man wrecking crew). Mr Liepert says it’s time for the government to consider all of its options to dig out of from under a $3 billion deficit. I agree. But first we need to understand what happened and how a budget projecting a small surplus morphed into a $3 billion deficit. In other words: Wow, we didn’t see it coming! Really? Was this “situation” (as Mr Horner quaintly puts it) truly unpredictable? Thirty percent of the revenue required to fund our 2013 operating and capital expenses comes from energy revenues—royalties, taxes and land sales. The natural gas market collapsed three years ago…no joy there, and no surprise either. The crude oil side is experiencing a perfect storm—surging oilsands production and constrained pipeline takeaway capacity flowing to one customer (the USA) who’s rapidly becoming energy self sufficient. No wonder the industry is pushing hard to access Asian markets via the Northern Gateway and Transmountain pipelines. But neither Northern Gateway nor Transmountain had been approved, let alone built, when Ms Redford unveiled her pre-election budget and it was nothing short of naive (or more likely pre-election politicking) to assume that oilsands revenues should be factored into the 2013 revenue requirements. The reality of the supply/demand imbalance is stark: Alberta’s heavy oil is sitting at $55/barrel; significantly lower than the West Texas Intermediate price of $90/barrel and the Brent crude price of $110/barrel. Consequently royalty payments and land sales revenue have plummeted. Mr Horner’s statement that the “the situation” was “growing faster than anyone expected” implies that he was banking on something perhaps Ms Redford’s Canadian Energy Strategy, to lead the industry through this rough patch when it flared up as “expected” sometime in 2014 or 2015. Thus far Ms Redford’s Canadian Energy Strategy has been a flop. Instead of working with Premier Clark to ease the Northern Gateway pipeline through the thicket of regulatory and stakeholder concerns, Ms Redford alienated her. Ms Clark responded with 5 demands that had to be met before BC would “approve” Northern Gateway. Ms Redford reacted by throwing her toys out of the pram. Framework…? What framework? It’s certainly isn’t the “fiscal discipline” framework set out in Ms Redford’s election platform where she promised (1) no new taxes, no cuts in services, (2) no deficits and (3) rebuilding the savings plan as a “shield against worldwide economic downturns”. 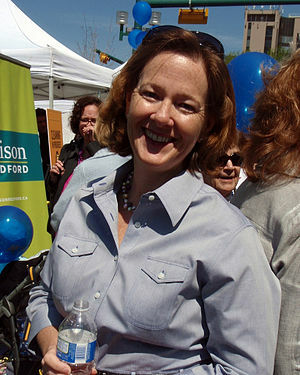 Ms Redford is holding firm on no new taxes, but we’re all justifiably skeptical about her promise not to cut services. She’s broken her promise to avoid deficits and forsaken her pledge to rebuild the saving plan—the sustainability fund which sat at $6.3 billion on June 30, 2012, dropped to $5 billion by Sept 30—a $1.3 billion decrease in the space of 90 days. What’s really pathetic is that Albertans have been to this movie before and we know it will end badly (like running with scissors) unless the government smartens up. So as much as it pains me to agree with Ron Liepert on anything, it’s time to have a thoughtful conversation about increasing corporate and personal taxes, adding levies, adding a sales tax and perhaps most importantly, encouraging the upgrading of Alberta’s natural resources in Alberta. So why is Ms Redford stubbornly clinging to her “read my lips—no new taxes, no new levies” (non)strategy? The result? Goodbye creative thinking and a fresh framework to radically change Alberta’s economic structure and free Canada’s richest province from the tyranny of yo-yo economics. Hello 2013 deficit budget, the first of many more to come. Pity. This entry was posted in Economics, Energy & Natural Resources, Politics and Government and tagged Budget, Canadian Energy Strategy, Clark, Horner, Liepert, Northern Gateway, Redford. Bookmark the permalink. 8 Responses to Alberta: Poised on the Fiscal Cliff. Again! Its about time Mr. Liepert started to do some heavy duty reading of economics and putting them into practise in his mind for his future endeavors instead of day dreaming about his boy hood adventures of snaring gophers on the family ranch at Saltcoats, Sk. Tom, your comment made me chuckle, but it highlights a serious concern—do our MLAs have the education and experience necessary to manage their portfolios in an increasingly complex environment? I’m not saying that our MLAs need to be PhD level economists and scientists, but their departments should have this level of expertise on hand and (perhaps more importantly) our MLAs should listen to what their experts are telling them. Of course that would mean putting the public interest ahead of one’s political ambitions wouldn’t it. It has been 41 years and the free market fundamentalists still have not figured out what to do to manage this province. We now have the distinction of being the richest most poorly managed province in Canada. I would suggest that if they were alright hiring an Australian to run our health care, it is probably time to hire the Norwegian finance minister or even just the resources minister to save us from this third world corrupted system that is already the joke in the rest of Canada. Even Quebec could give us some lessons as to how to live better with OUR donations. This full speed development continued by Stelmach and now fully embraced by Alison Redford is absolutely crazy and it is putting pressure on all of our systems in cities and rural areas. A much more planned development with appropriate tax levels and much more managed demographic growth would certainly be a much better alternative to this crazyness no one seems to know anything about. There is no responsibility, no one seems to know anything even in front of a judge and on and on….. So we really believe that out of this any good is going to come? Only by luck. Despite having the hotest economy in Canada we have deficits and we are heading towards a worse Health Care System and poorer quality of life. It is people with brains and true democracy and public environment that we can determine our future and our economic priorities, not with irresponsible invisible hands. I meant public involvement that I meant in the last paragraph. I wonder whether part of the problem with the PCs is that they’re trying to mash free market concepts into a public services structure and the resulting mishmash doesn’t work for anybody. The problems we’ve seen with publicly funded but privately delivered healthcare are a good example of how NOT to do this. Unfortunately the PCs seem so focused on receiving private sector input without giving due consideration to the public interest that we’re stuck, yet again, in a budget deficit. Your suggestion that the government should be open to getting input from others, such as the Norwegians, who have successfully bridged this gap would be a very good place to start. PS. It looks like you were having the kind of day I was having when you tried to correct the reference from “public environment” to “public involvement”… not to worry, we got it. Thanks and Happy New Year to you! Susan you are the first person that welcomed my suggestion about Norwegian input. We are so brain washed that anything that is not American know how seems tabu. By now I would think Canadians would have already realized that the US is headed towards a big cement wall that is going to hurt. Being able to think smart and look at other examples around the world and be more mindfull about what we are doing to ourselves would be a big step forward I think. Yes the PCs just got in their minds that anything private is the best and anything public is worse and so being directly involved in this process I have seen deteriotation of many services that needed not be made worse by ideological garbage. It is heart breaking to see this happening and for what? We should be making our democratic institutions more open rather than non-existent and let the public be more involved so we can make the right decisions about our future rather than just blindly follow ideological bad decisions that will have to be rectified later and cost more. Carlos, it’s interesting to me that the main stream political parties have picked up on the idea of having a “conversation” with the people. It would be very helpful if these “conversations” included not just politicians with their hand-picked experts, but also outsiders such as the Norwegians who could join in a larger discussion with Albertans themselves.